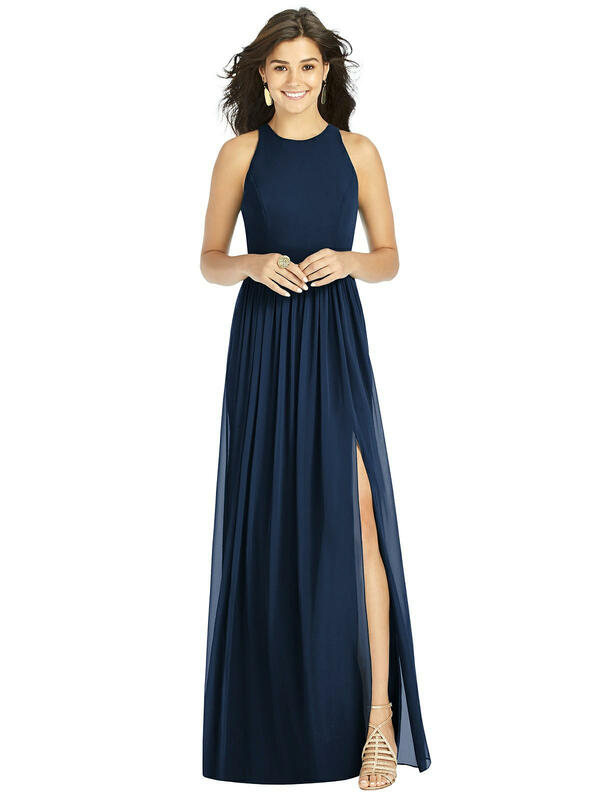 Accentuate your curves with the sleek silhouette and rich, luxurious texture of this gorgeous full-length gown. 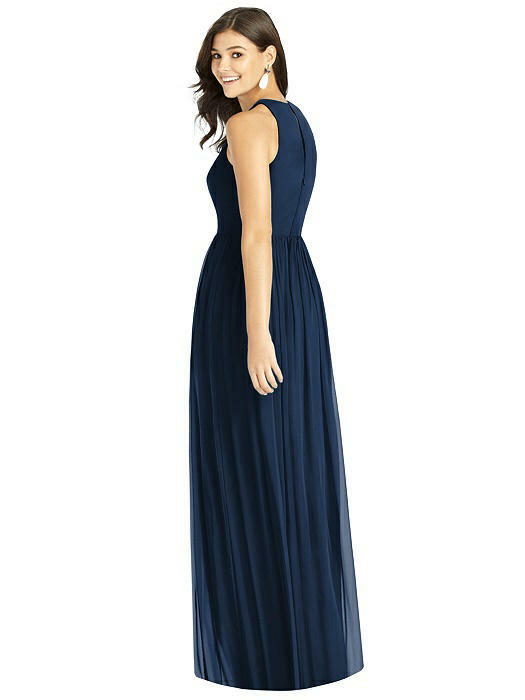 The breathtaking beauty of elegant lux chiffon flows gracefully from tasteful halter neckline to stunning shirred skirt. This style is fairly fitted at the natural waist and more forgiving at the hip. If you would like help choosing your size, please contact a Dessy stylist. Fit Tip: This style is fairly fitted at the natural waist and more forgiving at the hip. If you would like help choosing your size, please contact a Dessy stylist.